Freight forwarder Mercator Cargo has been handling sea and air freight shipments between the UK and the USA since it was founded in 1991. Now Mercator still handles commercial, vehicle and personal shipments from the UK to the USA, and from the USA to the UK. There are both sea freight and air freight options available when it comes to shipping from the UK to the USA. Sea freight is a great economical freight option, especially if you have a large or heavy shipment. Shipping via sea freight is surprisingly fast, with sea freight vessels covering the distance between the UK to a US port such as New York in as little as 7 days. To ship to the other side of the USA (for example into Los Angeles) the shipping time is around 30 days. If you have the luxury of time on your hands, then you can save yourself (or your business) some money by opting for sea freight to the USA. Our sea freight load options between the UK and the USA are full container loads (FCL), less than container loads (LCL) when your shipment goes into a shared container and the cost is also shared between the shippers, open top containers and flat rack containers (the latter two are extremely useful container options when arranging the shipping of oversized cargo to the USA). Air freight is a preferred option for those who have an urgent, particularly light, or high worth consignment to ship to the USA. There are daily departures from most major UK airports to most major USA airports. You can discuss further the air freight options to the States with our export team, who will be able to advise regarding a suitable departure airport in the UK and destination airport in the USA (choosing the closest airport to your cargo’s final destination is always a wise decision!). 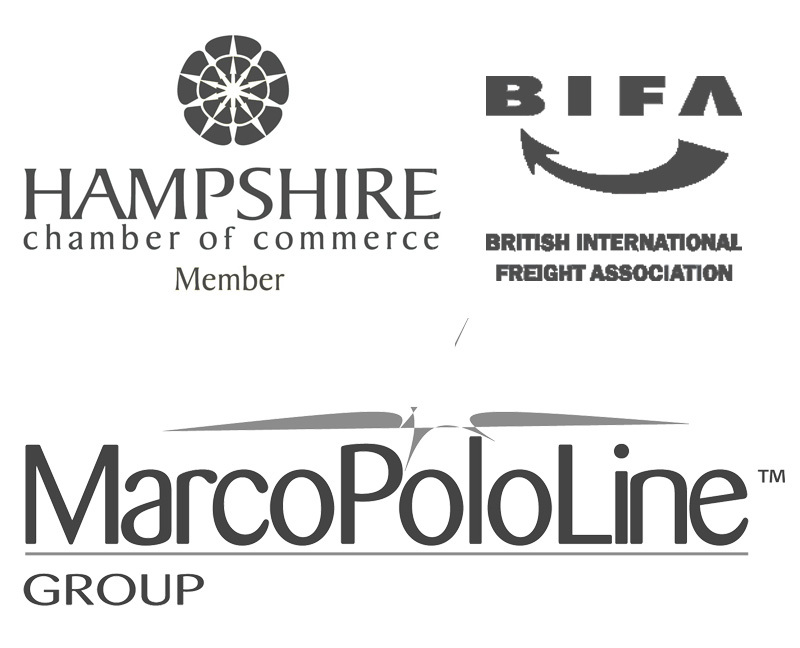 We have 15 partner offices across the USA (due to our founding membership of MarcoPoloLine). As such, we are able to offer a FULL export service from the UK to the USA, which includes clearance through US customs and delivery to door in the USA. Shipping to the USA couldn’t be easier when you appoint a freight forwarder to handle the whole process for you. From collection in the UK, delivery to the UK sea freight port or airport, sea freight or air freight to the USA customs clearance and delivery to door in the USA – Mercator can handle every aspect of the shipping process that you require. As we have 15 partner offices all across the USA, our import services from the USA include collection from a USA address, delivery to the port/airport of departure, air freight or sea freight to the UK, and finally UK customs clearance and delivery. Whether you choose air freight or sea freight, we can arrange every single aspect of your shipping from the USA, down to handling the VAT & duty payment to HMRC. As mentioned above, sea freight is a cheaper option than air freight especially if your shipment is bulky or heavy. However, sea freight will take longer from the USA to the UK – between 7 and 31 days depending on the US departure port. There are daily shipping departures from the USA across most sea freight ports. Air freight is much quicker and great if your shipment from the USA is fragile or small. There are countless air freight departures daily depending on the departure airport in the USA and destination airport in the UK. Once your shipment has shipped from the USA and arrived in the UK, Mercator can arrange to get your cargo cleared through customs and ready for collection, or arrange for haulier delivery to your door in the UK. By using a freight forwarder to handle your shipment, you’re utilising their specialist knowledge and contacts within the logistics industry. Our special agreed rates with various carriers, personal contacts in our partner offices in the USA, and our experience of the trade route between the UK and the USA makes it a straight forward choice when you’re looking for someone to trust to handle your USA shipping.